Political defeat and the Republican mind. One day, just over a decade ago, The New Republic was hosting a pleasant off-the-record discussion with a very high-ranking Republican member of Congress who was expressing his belief in the public’s ability to assess its own self-interest. A colleague asked a clever question: If the public is so good at gauging its self-interest, and its interests were furthered by the Republican Party, then why did it elect Bill Clinton in the last presidential election? The most recent spasm of right-wing rage in the wake of the passage of the Affordable Care Act has set off a wave of condemnation. The trouble is that this condemnation has failed to properly define the particular mania on display. Democrats, in this case echoed by news reporters, have scolded Republicans for egging on unruly Tea Party protestors on the day of the health care vote, for a general breach of decorum, and for provoking physical threats against lawmakers. The pastiche of complaints seems vague and unsatisfactory. It sweeps up legitimate behavior with illegitimate—what exactly is wrong with encouraging nonviolent protests?—and makes too much out of what, for now, amounts to empty threats from a handful of scattered loons. There is, however, something genuinely disturbing at work in the latest conservative tantrum. If the Democrats have failed to define the phenomenon properly, let me take a shot: Large swaths of the Republican Party simply refuse to accept the legitimacy of losing political outcomes. The Republican Party greeted the Affordable Care Act with hysteria directed not just at the impact of the legislation (“Armageddon,” was House Minority Leader John Boehner’s measured assessment of the law’s impact) but at its process. It was “an extraordinary abuse of traditional Senate rules,” The Wall Street Journal complained. 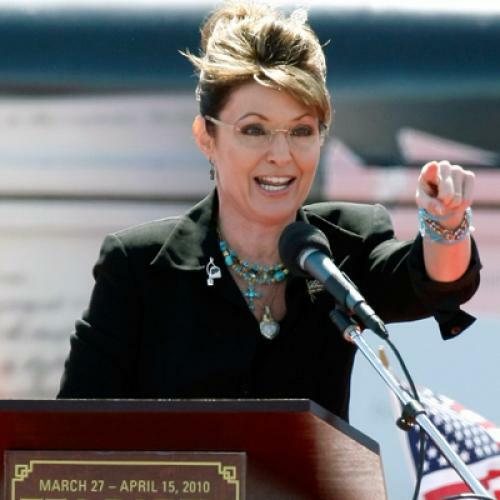 The passage was “undemocratic” and “un-American,” insisted Sarah Palin. “It is a regime. They’re governing against the will of the people ... the Constitution be damned,” thundered Rush Limbaugh. The caterwauling is difficult to fathom. President Obama ran for president promising to implement health care reform, and his plan was subjected to close scrutiny during the campaign, which he won with a clear majority. His plan became law only after endless hours of committee hearings, televised discussions, and floor debates. After a year of near-constant debate, a House majority and a Senate supermajority approved the legislation. It is true, as numerous conservatives have protested, that the bill passed with no Republican votes. Numerous conservatives have pointed out that Medicare attracted 65 GOP votes in the House and 13 in the Senate. The implication is that the Democrats have grown more ironfisted than their Great Society counterparts. Given that Medicare was clearly structured in a more left-wing way (single-payer), the contrast tells you more about the GOP’s right-wing lurch than anything else. Republican Party leaders and an enraged GOP base pressured Republicans in Congress to abandon all negotiations, and then, Republican leaders cited this abandonment as evidence of the legislation’s radicalism. The Republican belief that health care reform was not merely misguided but actually, in some deeper sense, stolen sits comfortably aside a recurring paranoia about Democratic malfeasance. Republicans bear not merely the partisan distrust that comes naturally in a polarized environment but an abiding belief that Democratic success can only occur through electoral theft. These fears pop up with regularity. Within the insular world of conservative discourse, widespread Democratic electoral fraud is taken for granted. “They started importing Haitians the day before elections, and now—and now—and now the—they got to go out and scour the country for felons,” proclaimed Limbaugh in 2004. The assumption is shared by more respectable figures. “I think there are plans under way by the Democrats to steal this election,” warned Robert Novak the same year. The Bush administration believed so strongly in widespread Democratic electoral fraud that it insisted its prosecutors produce evidence of some, and fired a slew of them when they failed to do so. Thus the right-wing obsession with ACORN a marginal force at best in electoral politics. Some acorn staffers registered nonexistent people (“Mickey Mouse”) to pad their totals, but the nonexistent voters never appeared at the polls. The fraud was committed by ACORN’s staff against ACORN. Nonetheless, a majority of Republicans have told pollsters that they believe ACORN stole the 2008 election for Obama. Lurking behind this paranoia is the fanatical populist conviction that their side has a monopoly not only on virtue but on the convictions of the American people. Of course, such a belief is not limited to conservatives, but those who hold the left-wing equivalent tend to regard the Democratic Party with Naderite hostility. Such fanaticism on the right has entrenched itself deeply within the Republican Party, a signature conviction of a bitter epoch.